First a quick recap of what CWM offers: those who purchase a supported Nokia handset get 12 months “unlimited access to the entire Nokia Music Store catalog with the ability to keep all downloaded tracks even after the year is over.” Tracks can be downloaded “over the air” or sideloaded via a PC (Windows only), and are ‘policed’ using Windows Digital Rights Management (DRM). To continue downloading tracks on an “unlimited” basis once the 12 months are up, users need to purchase a new CWM handset. 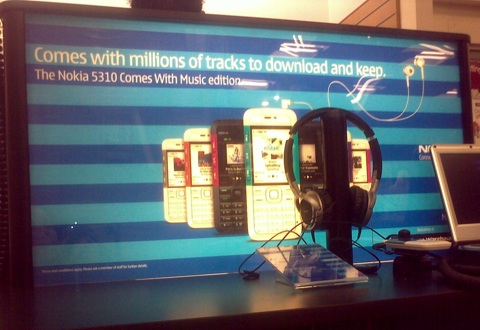 While the thinking behind CWM has some merit – offer a paid-for music service in a way that “feels like free” and compensates labels and artists accordingly – Nokia’s execution has been poor, at least in the UK (sales elsewhere are reportedly much better), although much of the blame, as always, must rest with the record labels themselves. The use of DRM is one obvious issue. 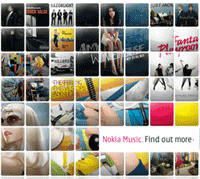 The industry has rightly moved to the DRM-free mp3 format, for a la carte downloads at least, and since CWM is an attempt to bridge the gap between subscription and a la carte downloads, offering the benefits of both, the use of DRM in order to keep users within the Nokia ecosystem and appease the labels’ fear of piracy has likely put off a substantial number of potential customers (at least those who understand DRM and CWM’s limitations). Getting to keep all the music you’ve downloaded once your subscription is up is a lot less attractive if that music is permanently tied to a single (outdated) phone and single PC. Lack of carrier subsidy. CWM in the UK has only managed to sign up one mobile carrier, “3”, who are the smallest of the five networks in the UK. On top of this, “3”‘s marketing of CWM has been lackluster. Instead, Nokia has had to mainly rely on its pre-pay (PAYG) CWM offering in which customers have a much higher upfront cost. Outdated phones. Perhaps because of the lack of carrier subsidy, Nokia’s CWM offering in the UK is currently limited to two aging handsets, and marketed mostly around the outdated Nokia XpressMusic 5310. In contrast, the latest XpressMusic phone – the touch screen 5800 – has sold extremely well here in the UK but isn’t being offered as part of CWM. Poor messaging. Despite a high-profile campaign, I never felt the message was getting through. It may have said the right thing – users can download “millions” of tracks and get to “keep” them – but it was still strangely ambigious. In hindsight, I think Nokia should have attacked the expense of download stores such as iTunes head on or marketed the service more at parents who are concerned about their kids “stealing” music.